Last year, the International Monetary Fund (IMF), the most prestigious international financial institution in the world, ranked China as the largest economic superpower in the world (IMF, 2014). With a 2014 GDP estimate of $17.6 trillion dollars ($300 billion higher than the United States), China has witnessed recent economic growth that has placed it in the center of global economic conversation (IMF, 2014). Companies and businesses around the world have suddenly redirected their energy to cracking Chinese markets, opening up branches and boutiques all around China's modernized cities. In the 1950s, American consumerism transformed the global economy. Now, it appears it is China's turn. Reaching $3.3 trillion, China's private consumption currently makes about eight percent of the world's total (Economist, 2014). Walk the streets of Hong Kong at 10 A.M on a Saturday and you'll see lines of Chinese shoppers eagerly waiting outside luxury boutiques to splurge on goods. Luxury car sales in China have risen 450 percent in the last year and Chinese consumption of expensive Swiss watches now equals more than the United States, the U.K. and Japan combined (Raconteur, 2015). Income by age in the United States and China (O'Brien, 2014). The unique dynamic of Chinese consumerism has made the Chinese market even more enticing to foreign companies. Not only do the youngest age bracket of the Chinese population make the most money, but they are also the most willing to spend it. Many Chinese migrant workers are engaging in a growing trend called "buying up," in which they use some of their savings to buy similar luxury goods that the upper class buys. Research by the IDEO, a consultancy, found that many young migrant workers earning less than $830 a month would spend a entire month's wage on an Apple iPhone (NASDAQ:AAPL) (Economist, 2014). This phenomenon has triggered huge growth in companies catering to the lower class' demand for luxury goods. Alibaba (NYSE:BABA), a Chinese company centered in providing "budget smartphones" to China's mobile users, is now the fourth largest tech company in the world with a net worth of $215 billion dollars (WSJ, 2014). The future of consumerism and the global economy, it would seem, rests in cracking the market of the new Chinese generation. Yet, many economists are overlooking a growing trend in the Chinese population that could stalwart private consumption and diminish China's future influence in the global economy. Despite their recent explosion of wealth, the new Chinese generation is saving more than ever. In the last 15 years, China's average rate of urban household savings has risen 11 percent (Business spectator). At a current 51.5 percent of net income, China's savings rate is ranked second in the world, only under oil-rich Qatar (World Bank, 2015). To put that in perspective, the average Chinese citizen saves more than three times as much as the average American. This growing savings rate is, without a doubt, a result of a feeling of instability triggered by the recent political and economic events in China. In an effort to defuse this feeling, the Chinese government has tried to enhance education, healthcare, and other public sectors, etc., in hopes of loosening the wallets of Chinese consumers. Yet, savings as a percentage of GDP has continued to rise as spending's percentage continues to fall. The inescapable reality is that this trend in savings will only get worse. The wind steering the direction of this course has nothing to do with any of these mentioned public sectors, but rather, one of China's defining initiatives: the one child policy. In the next few decades, China will undergo the world's largest demographic shifts. To begin, China's population growth has already begun to slow. From 2001-10, China's population inched up at just 0.57 percent annually - only about half the level of the previous decade, and only one-fifth of the level in 1970, when controlling population growth first became a priority (Wang, 2012). The driving force of China's slowing population growth rate is its low fertility rate, which has languished well below the replacement level of 2.1 births per 100 citizens for two decades. China's fertility rate is only 1.4 births per 100 citizens, one of the lowest in the world and well below the developed country's average of 1.7 (Wang, 2012). In the past few decades, China has repeatedly failed to reach population targets put in place to control growth. For the 10th Five-Year Plan, the National Population and Family Planning Commission set a population growth target of 62.6 million, but China recorded an actual population gain of just 40.1 million. For the 11th Five Year Plan, the population gain of 34.2 million was far below the 52.4 million target (Wang, 2012). This sustained low population growth will cause the number of young workers to decline tremendously. By 2020, the number of people aged 20-24 is expected to fall 20 percent in China (Wang, 2012). Not only that, but the labor participation rate in this age group will also fall due to rising participation in higher education. Annual higher-education enrollments tripled from 2.2 million to 6.6 million in 2001-10, while the number of college students (mostly aged 18 to 21) rose from 5.6 million to 22.3 million (Wang, 2012). In short, China's labor force, the foundation of its profound economic growth, is disappearing. At the same time, China will see a surge in the rise of older aged citizens. By 2030, China is expected to see its percentage of people over 60 in total population double (Economist, 2011). China's ratio of workers to retirees will change dramatically, dropping from roughly 5:1 to just 2:1 (Wang, 2012). This huge shift in demographic will have far reaching effects beyond just labor supply. For example, tax burdens for each working-age person will have to increase more than 150 percent (Wang, 2012). Most members of the new Chinese generation are actually saving in response to this problem. The population is getting older, and the one-child policy places huge economic strain on the new generation. Commonly referred to as the "4-2-1," the members of the new generation will have to save enough money to single handedly look after themselves, their two parents, and their four grandparents (China Outlook, 2014). The most common, and expensive, purchase of the new generation will not be designer handbags and luxury cares, but rather, healthcare to help aid their family. 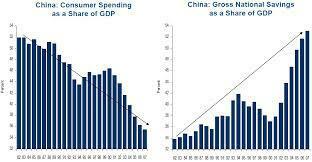 The effect of this profound economic pressure is visible all around China. A decade ago, impoverished migrants gathered outside factories in cities like Dongguan, desperately searching for work. Now, Dongguan's streets are full of banners and notices advertising jobs as workers protest in demand for higher wages (Economist, 2014). As diminishing labor supply and increase in labor activism continue to pressure employers, wage rates in China are actually beginning to increase. Yet, this increase in wages represents only half of the new generation's woes. The price of healthcare in China has remained inaccessibly high. At the same time, China's poor living conditions, high rates of pollution, and general crowdedness have caused it to have one of the world's highest rates of chronic diseases among high-income countries (Strong, 2005). Specifically, China has seen a rise in the rate of cancer as a result of intensive air pollution, now estimated at an index 20 times higher than the maximum safety limit (Nelson, 2014; ABC, 2013). In a recent statistical analysis by Lancet, one of the world's leading medical journals, China now contributes to 25 percent of cancer deaths globally (Strong, 2005). As a result, China's expenditure on health care has increased by more than 600 percent since 2000 (BBC, 2014). The Chinese government, to little avail, has attempted to lower the cost of public health care through pledging more funds. In 2009, Beijing allotted $173 billion to help alleviate the cost of public healthcare (Time, 2014). Yet, to most of the general population, health care prices still remain too high and most health insurances may only reimburse up to 40 percent of the cost for treatment (Time, 2014). While Chinese health care spending has jumped up two percent of total GDP, China's health care expenditure by GDP has yet to surpass many developing countries like Afghanistan (Time, 2014). As much of the population continues to wait for health care prices to fall, there are those who have simply run out of time. Zheng Yanliang, a local of the town of Dongzang, for example, took to performing his surgical amputation himself, sawing off his own limb with a hacksaw (Time, 2014). A testament to the inaccessible prices of health care, Yanliang's story also speaks to why so many Chinese citizens have begun to fear the uptake of sickness and have consequently raised their rate of savings. In a time of increasingly inaccessible healthcare, illness entails death for many of those who cannot afford to treat it. In the next few decades, China could lose all of its key advantages that make it "the world's next superpower." 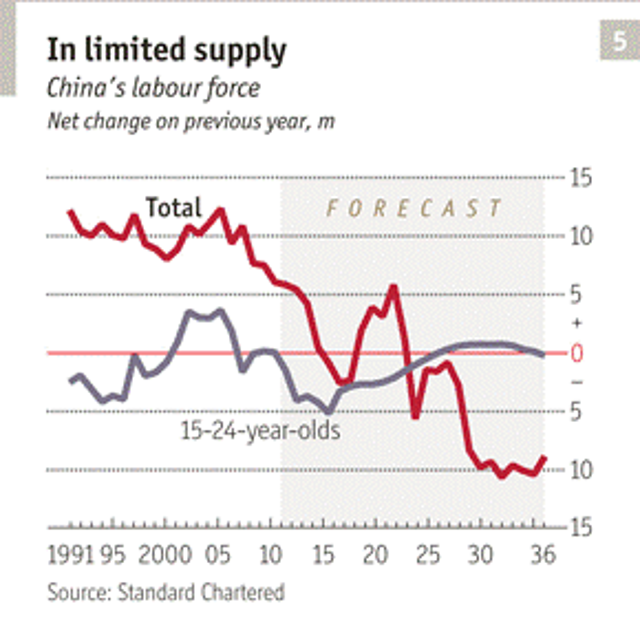 If the population growth rate continues to decrease, China's cheap labor supply will disappear. Manufacturing companies, one of the greatest contributors to GDP in China, will find themselves scrambling to find workers and be forced to raise wages even higher. Those who do work will be forced to save more to not only purchase healthcare, but also to pay off the incredibly high tax burdens. As a result, private consumption will drop, and the consumption of healthcare will increase even more dramatically than it already has. 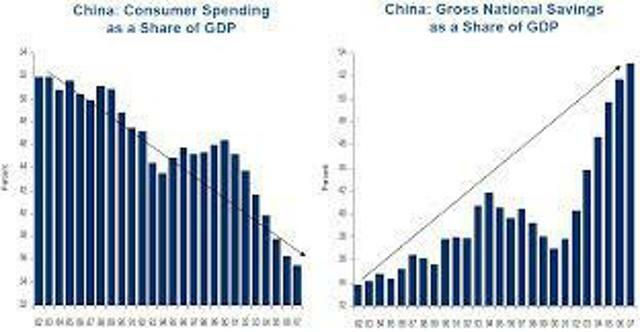 Foreign companies that invested their assets in exploiting Chinese markets will begin to find themselves stuck in a slowly crumbling private market and China will find itself in the economic chokehold of a dwindling population that is become ever more frugal. Yet, the solution to all of these problems couldn't be clearer. A modification of the one-child policy, more affordable and accessible public healthcare, and an initiative to reduce tax burdens on future workers sprung by the huge increase in retirees would alleviate the effects of this demographic shift. But it is the execution and implementation of these changes that will pose the greatest challenge to the Chinese government. If the health care crisis in China isn't effectively solved, then the future of Chinese consumerism lies in the sector of global healthcare. Therefore, the future course of Chinese consumerism, and the many economies reliant on it, rests not in the hands of the new Chinese generation, but rather the Chinese government.